The Networked North identifies and addresses key lenses for understanding cross-border cooperation in the North American Arctic under conditions of globalization, climate change and changing international relations. Each chapter focuses upon a particular theme influencing cross border relationships, such as historical legacies, cultural relationships, cross-border flows of people and goods, security arrangements, governance practices and sustainability challenges. Twelve short chapters systematically define the ways in which Arctic and sub-Arctic borderlands are uniquely situated within processes of climate change, devolution, globalization, resurgent indigeneity, and neo-realist geopolitical processes. All authors acknowledge how the North has been reterritorialized by each of these processes in ways that encourage the networked nature of sovereignty and territoriality. Heather Nicol and P. Whitney Lackenbauer, eds. 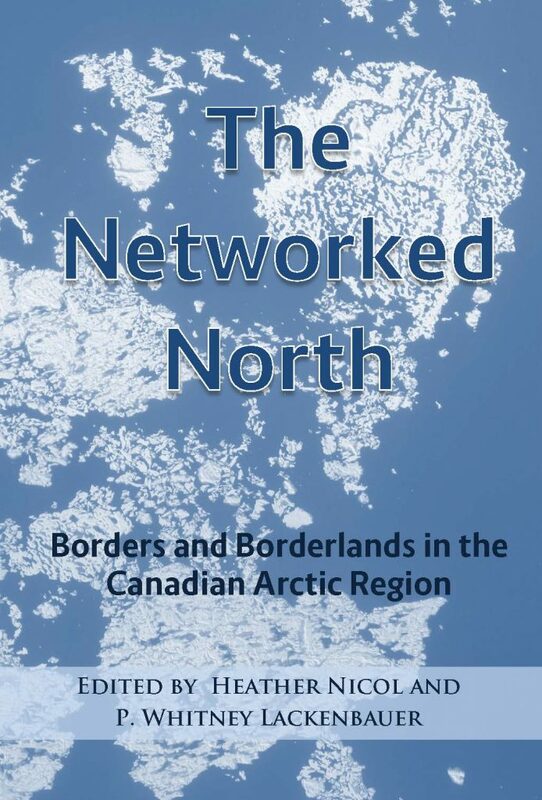 The Networked North: Borders and Borderlands in the Canadian Arctic Region. Edited book with Heather Nicol. Waterloo: Borders in Globalization/Centre on Foreign Policy and Federalism. vi, 198 pp.